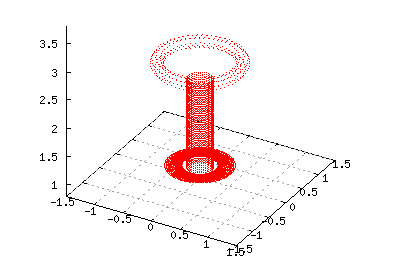 This example models the Tesla coil 'Thor' which was built as a postgrad research project by Marco Denicolai. It is a very well documented and measured system and therefore a good test case for LCnetgen. With Tesla coils, the secondary base current waveform provides the best diagnostic. The following graph compares the modelled base current with the actual base current waveform recorded by Marco.